When you decide on a kitchen remodel project, it entails a lot of details. And, getting the preparation right is crucial to your experience. That’s because any hold ups and hiccups can really take a good chunk of time, dragging out the time you are without a fully functional kitchen space. Much like a bathroom remodeling project, you’ll soon learn how many times you actually need the space, day-in and day-out. The key to doing kitchen renovation prep right is to think about each step of the way and look into the future. It’s a proverbial painting yourself into a corner and without the right plan, you’ll end up with a whole lot of frustration. In fact, in the list of the most expensive homeowner mistakes made in home improvement, contractors list a change of plans to cost the most and take the most time. Move all the appliances out. 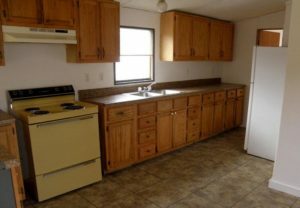 Another huge mistake when it comes to a kitchen renovation is to leave all or some of the appliances in place. Some homeowners elect to do this because they aren’t replacing the appliances, while others just want to continue using them. But, this will cause all kinds of problems, so relocate the appliances to another spot. Separate the kitchen with plastic. Dust and debris are just a reality when it comes to remodeling any room. But, you can mitigate its spread by hanging plastic to minimize the amount of dust and debris which finds its way into other rooms. Buy non-perishables and disposables. When you don’t have a fully functional kitchen, you’ll discover preparing meals is a big challenge. You’ll need a good amount of non-perishables for quick meals and plenty of disposables to greatly cut down on dealing with dishes. Schedule remodeling debris removal service. Yet another reality of remodeling is all the materials and debris created. You’ll probably be surprised by just how much debris is generated. So, schedule remodeling debris removal prior to the actual work. This will help keep you on track and make the process go faster. If you’re starting a renovation, be sure to phone 800-433-1094 or visit Junk Garbage Removal before you begin to schedule construction and remodeling debris removal. We’ll help you keep your home improvement project on task so you can truly enjoy it.